The King family had a reputation as ‘great gardeners’. Truby certainly inherited a ‘green thumb’, and his philosophy was that good nutrition was vital for good mental health. His library is littered with books on farming, vegetable planting, fruit growing, garden design, books on strawberries and rhododendrons, and this volume, Saxifrages or Rockfoils. 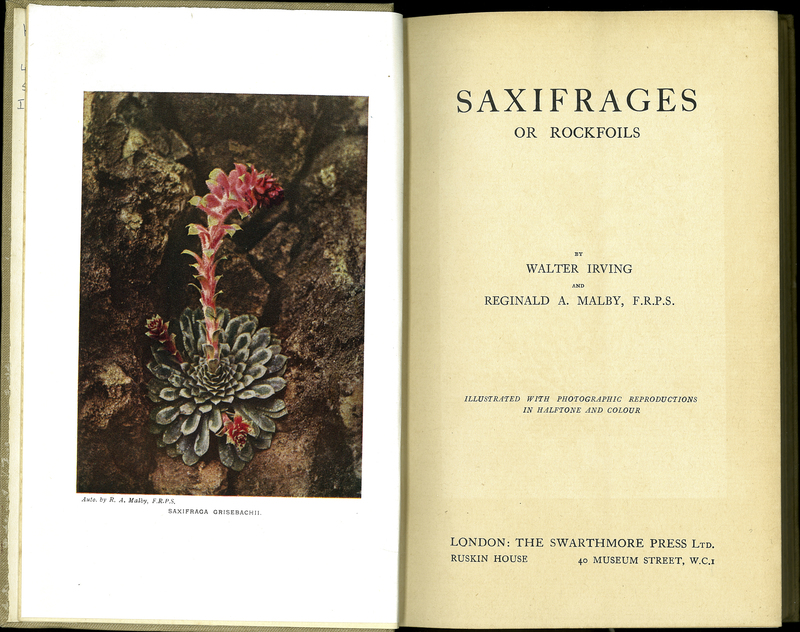 Walter Irving and Reginald A. Malby, “Saxifrages or Rockfoils,” ourheritage.ac.nz | OUR Heritage, accessed April 20, 2019, http://ourheritage.ac.nz/items/show/11213.